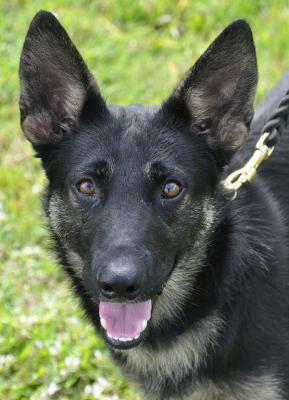 REBELHASAHOME - Southwest Florida German Shepherd Rescue Inc.
REBEL HAS A NEW HOME REBEL came to us today 3/20/19 from an owner surrender at a local shelter. He had run away so many times that the owner just wanted him out. She relinquished the fabulous dog to us and he was immediately put into foster. It seems the foster family will be adopting him, but if not I am putting him on the net just in case. 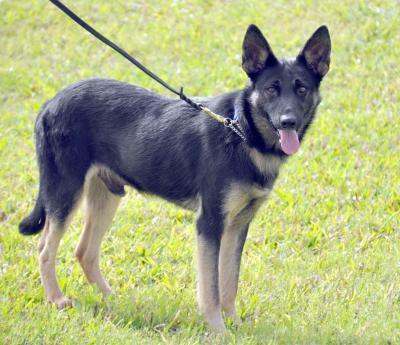 Rebel is an extremely small male in-tact GSD. He is black and tan but has no defined saddle. He is unbelievably sweet and affectionate. He likes cats and dog and loves people and being petted. I spent an hour training him and he is a sponge for knowledge. He will be fixed tomorrow and will be in foster until we are sure they will adopt him.